**Winner of a Religion and International Relations Book Award from the International Studies Association. **Selected as a 2015 Summer Beach Reading on WashingtonPost.com and the Monkey Cage! “Today, two-thirds of all Arab Muslims are under the age of thirty. Young Islam takes readers inside the evolving competition for their support–a competition not simply between Islamism and the secular world, but between different and often conflicting visions of Islam itself. “Drawing on extensive ethnographic research among rank-and-file activists in Morocco, Avi Spiegel shows how Islamist movements are encountering opposition from an unexpected source–each other. In vivid and compelling detail, he describes the conflicts that arise as Islamist groups vie with one another for new recruits, and the unprecedented fragmentation that occurs as members wrangle over a shared urbanized base. Looking carefully at how political Islam is lived, expressed, and understood by young people, Spiegel moves beyond the top-down focus of current research. Instead, he makes the compelling case that Islamist actors are shaped more by their relationships to each other than by their relationships to the state or even to religious ideology. 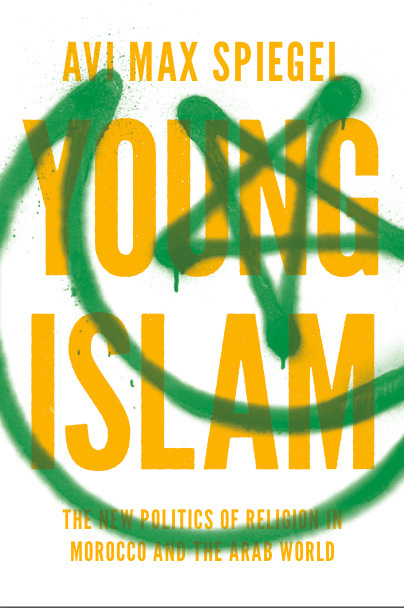 By focusing not only on the texts of aging elites but also on the voices of diverse and sophisticated Muslim youths, Spiegel exposes the shifting and contested nature of Islamist movements today–movements that are being reimagined from the bottom up by young Islam.